Join us for this summer’s Second Annual: Shamanism, Community and Healing residential at beautiful Bethel Horizon’s. Building on last year’s wonderful event, we are adding special children/adolescent events to the mix to embrace the belief that children should be a part of the spiritual community life of the adults. My training focus this year is: introduction to transgenerational trauma and its healing; Jewish shamanism; African traditional healing practices; shamanic peacemaking; and community ceremony. While we will have some special training and events for children, most of the programming will be open to all ages. myron@myroneshowsky.com with your interest in this training. Fee for training is 325 dollars. 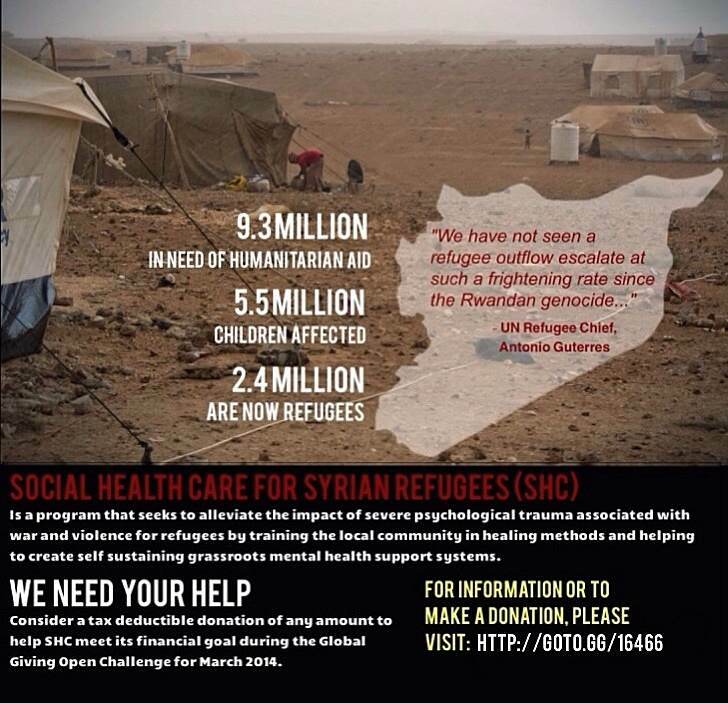 Please consider donating to this essential and creative program to bring healing to Syrian refugees. Every dollar is helpful. Our goal is to reach 100 donors. Please see the recent Huffington Post article on the profound need for a generation of young people experiencing incredible violence on a daily basis. This is why we need the Social Health Care program to help bring healing.